Algin (Intestinal System) Sodium alginate, an important part of the kelp plant, is mucilaginous and gels in water. Anamú has a history of beneficial folk use throughout South America, where the leaves are typically consumed to support the immune system and the joints. Contains astragalosides and polysaccharides to help stimulate immune function. Potent anti-oxidant formula. Neutralize free radicals. Vison, eye health. The stimulant that relaxes. Has a calming effect on the nervous system & stomach. Relaxing Sleepy-time herb. Refreshing, relaxing, cleansing. Tonic for jangled nerves. Gentle tonic food used to balance body metabolism. For weight issues, appetite suppressant, & mild diuretic. Urinary system. Soothing diuretic, maintains normal tone. For kidneys, bladder, prostate. Nutritional support for migrane headaches. Blood vessels in the head. Helps prevent severity & frequency of symptoms. 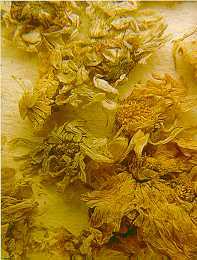 This concentrated feverfew is four times as potent as our regular feverfew. Potent Antioxident - Immune booster. Three capsules equals 10 cups of liquid Green Tea. Supports healthy kidney function. A gentle, relaxing tranquil herb. Herbal nervine that has effects on the central nervous system. Detoxification herb. Rich in silicon & Calcium. Useful for connective tissues and bone strength. Good for 'spring cleaning'. Helps with fluid balance and protecting immunity. Relax your body and reduce stress. Helps muscles relax without dulling senses. Promotes more restful sleep. May reduce discomfort. Muscle relaxing respiratory & lymphatic stimulant. Lobelia is a 'smart' balancing herb. Also helps with stopping smoking. Your liver plays a crucial role in your body’s digestive process, and it strengthens your immune system by cleaning toxins and impurities from the blood. 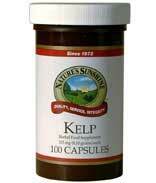 This product helps rejuvenate and nourish the liver, in a time-released tablet for long-lasting support. Lymphatic, mucous membranes, respiratory system . Soothes tissues. High mucilage content make it a soothing support for the respiratory system. Antispasmodic, muscle relaxant, sleep. Helps with relaxation of tense muscles. Paw Paw Cell-Reg selectively targets specific cells to enhance the overall health of the body. Red yeast rice supports the body’s ability to maintain cholesterol levels already within the normal range and offers nutritional support to the circulatory system. To thin your fluids, dissolve build up & clean you out. Supports normal cholesterol levels, aids in the digestion of oils. The world has come to know this yellow-flowered herb for its wonderful benefits to the nervous system, specifically for help with mood enhancement. Millions in Europe have felt its helpful effects. Now millions of Americans in need of mood enhancement - about 15 million - can realize the potential of this natural supplement. Strengthens urinary system, helps prevent infections, good for bladder needs as well as kidney. Circulation and keeping kidneys clear. In a double-blind study of poor sleepers, patients who took valerian root extract showed improved quality of sleep (determined by measuring brain waves), required less time to fall asleep and woke up less frequently than their counterparts not taking the extract. Relaxant for nerves & muscle spasms. Calming & antispasmodic. Useful for headaches and mild nervine. 'Gift from the Desert'. Cleans the body & reduces swelling. Breaks up obstructions. Joints and structural system.